How to notify employees once their shift is published. 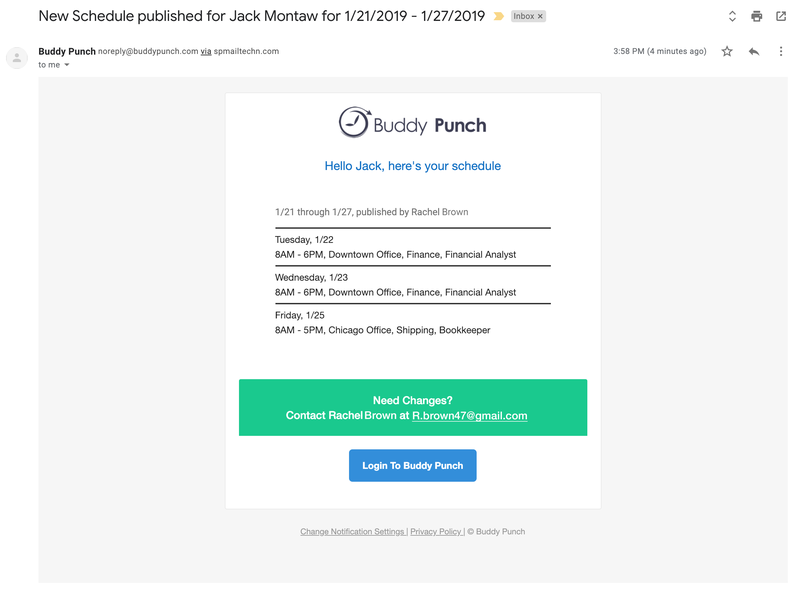 Notify employees when their scheduled shift is published. After you have finished enter your employees shift details, you will then need to Publish the shift. You Publish a shift by selecting the Publish Shift button on the top right of the scheduling page. When you select the Publish Shift button, you'll be presented with a popup that asks whether you'd like to publish & notify the employees or publish with no notifications. Selecting the Publish & notify option will then send an email to employees informing them of their new shifts. 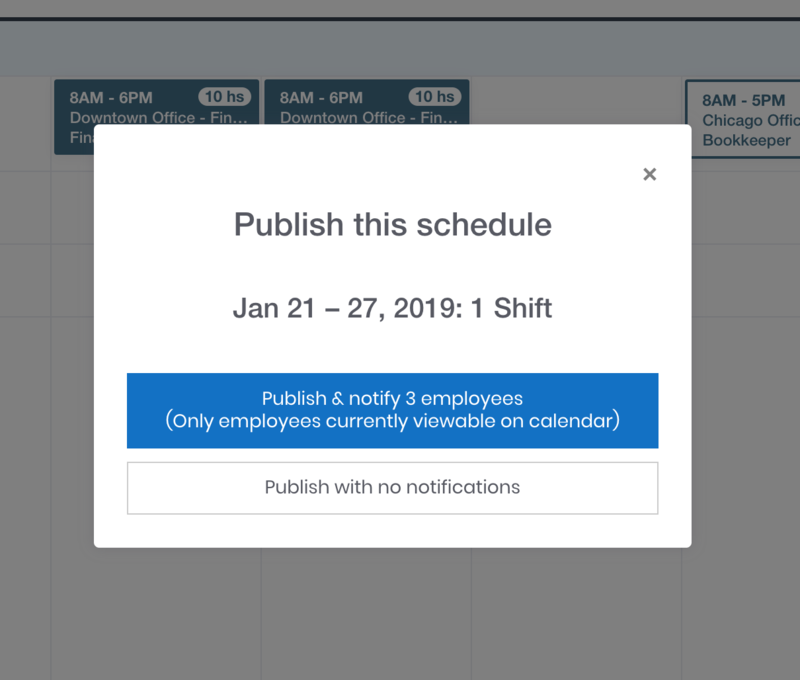 Please note: If you don't want to send a notification to employees with previously published shifts, please change your calendar view by using filters to only include the employee(s) you want to send a notification to. Below is an example of what the shift notification email looks like.